Now that both the D and R conventions are over, the silly season of political campaigns has officially begun. This year starts out a bit differently because there are two races (June 12) right off the bat. It also reminds me instantly of one of my biggest pet peeves. 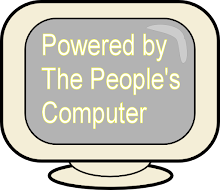 When pundist/politicians/media etc... tell us that candidates "want to get their issues out" or after an election when the winner says " the voters agreed with our issues". 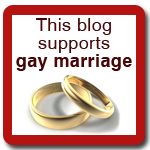 An issues based campaign these days, is as rare as a true statement from The Donald. 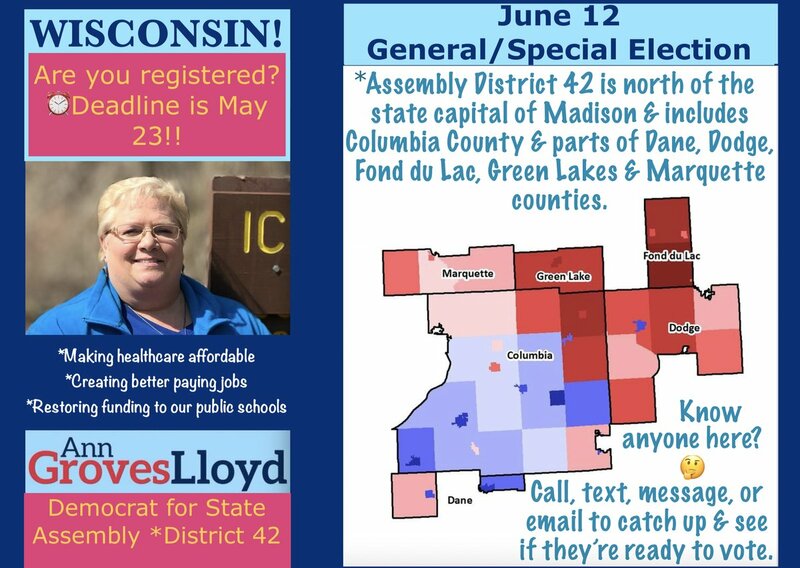 There is no better example than the special election between Ann Grove Lloyd (D) and Jon Plumer (R) in the 42nd District. The Repubs are running what might be the worst written and acted TV Commercial ever (Guiness is reviewing it) where the whole idea, as far as anyone can tell, is that Plumer's opponent is a socialist who wished she lived in North Korea. "She's really extreme, said she's a socialist and that she thinks that the United States are terrorist and that we're like North Korea," a woman pictured in the RACC ad says to a friend. The proof that Lloyd has a poster up of Kim Jung Un, is based on Ms. Lloyd supposedly liking a tweet by John Nichols(true story). The problem with that is her tweets are protected, and as someone who is "friended" by her on Twitter, I can not find the tweet referenced in the ad. For those of you scoring at home, the ad that Republican Plumer kicked off his campaign with, is an ad to make us fear his opponent that is based off of a tweet she supposedly 'liked' but there is no evidence that that actually happened. Yes anyone who votes for Plumer really agrees with him on the issues. But wait there is more. A GOP dark money group has been running ads for Republican Kevin Nicholson, who wants to take on Tammy Baldwin. The theme they are running is that some of the most respected people in GOP history have switched from Democratic affiliation to Republican(Nicholson was a Democrat in college). The ad mentions Ronald Reagan, and then the Governor of Missouri. 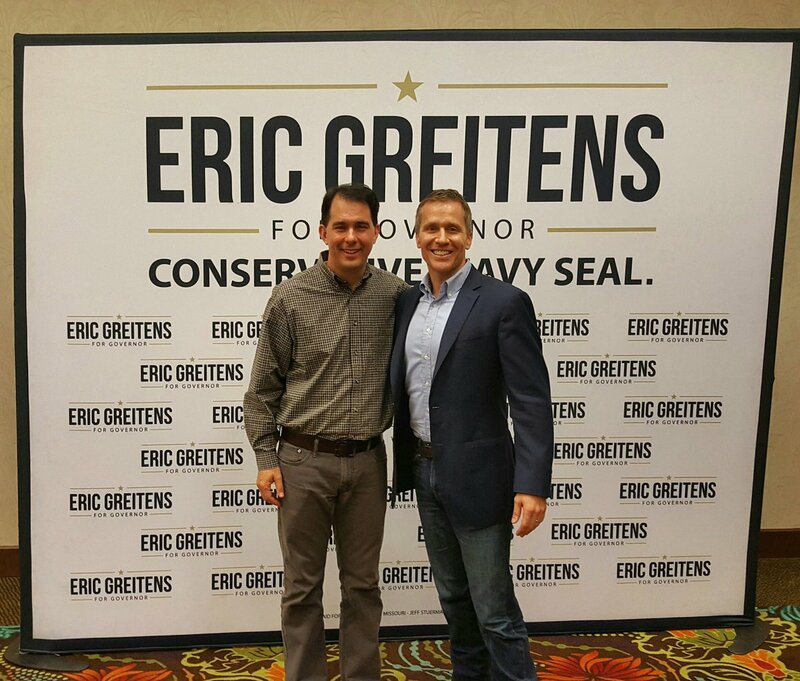 It is actually a good comparison for Nicholson, because Scott Walker's good friend Eric Greitens recently resigned. Like Greitens, Nicholson is not an elected official and never will be. Back to Jon Plumer. 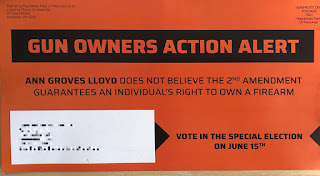 The Republicans just sent a mailing to everyone in his district, with the tired old line(forgetting actual issues again) of Ann Groves Lloyd will take your guns. When you have tea and krumpets with The Un's on a regular basis, of course you do not believe in the Constitution. Luckily Ms. Groves has a voter list, so she knows where to go to confiscate everyones guns. Anyway, if anyone actually reads this garbage mailing, they will be sure to vote on June 15. The Republican Assembly Campaign Committee is run by Jenny Toftness. You can forgive Ms. Toftness for this glaring and blatant mistake, it is not like she has held major jobs in the past or is an English major. Toftness used to be chief of staff for Speaker Robin Vos(checking to see if her husband made her leave the clutches of Robin Vos and his penchant for married women) and graduated in 2002 from UW- Madison with an English major. The Republicans lack of any effort for facts, or even clarity shows how little they respect their voters. They know that if they can just show you that the Democrats are the enemy you will run to the polls in fear and keep them in charge. Maybe it is time if you are an R voter to take a look in the mirror and demand respect and accountability from your elected officials! 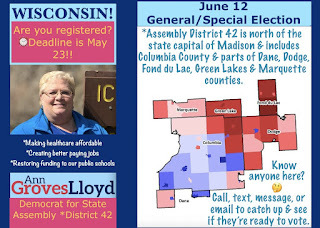 Edit note: In Assembly District 42, both candidates are from Lodi, WI - population 3050. 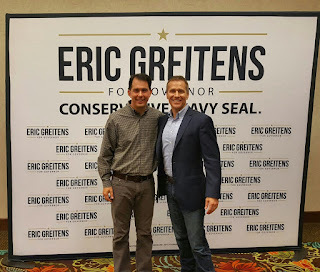 Together, they have spent over $200,000 to try and win this seat that pays about $50,000/yr. In a small town in WI, that recently passed a five year operating referendum for $1.7 million/yr, this kind of money would make a huge difference in communities like theirs. We really need to get money out of politics! 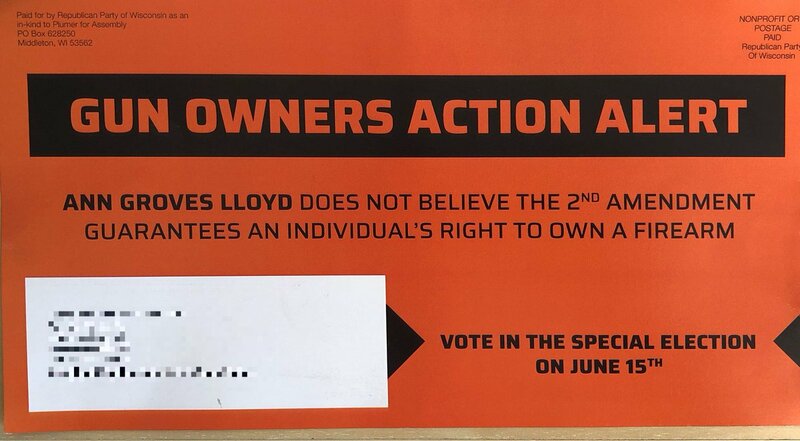 PSS: In light of all of this, PLEASE vote for Ann Groves Lloyd on June 12!